Dr. Luis F. Fred is Assistant Professor of Music at the University of Central Florida (UCF). Previous to his appointment at UCF, he was on sabbatical leave pursuing doctoral studies at Northwestern University. Dr. Fred was Principal Trombone of the Puerto Rico Symphony (1998-2017) and Associate Professor of Music at the Puerto Rico Conservatory of Music (2001-2017). He has extensive symphonic experience having played with organizations such as: the Chicago Symphony, New York Philharmonic, Los Angeles Philharmonic, Atlanta Symphony and Houston Symphony orchestras. He was co-principal trombone of the Orquesta Sinfónica de Madrid (Madrid Opera) and Orquesta Sinfónica de Sevilla in Spain. He has worked with renowned conductors such as: Bernard Haitink, Jaap van Zweden, Esa Pekka-Salonen, Charles Dutoit, Christoph Eschenbach, Michael Tilson Thomas, Robert Spano, Yuri Temirkanov, Jane Glover, Nicolas Kraemer and Maximiano Valdés. Dr. Fred is a member of Trombones de Costa Rica (TCR), a quartet that specializes in bringing Latin American music to international audiences. He has toured with TCR in Argentina and the United States. Other activities as a chamber musician include performances with the Chicago Music of the Baroque, the Casals Festival Chamber Players and the Alterity Chamber Orchestra (Orlando, FL). He has been in residence with the Harlaxton Chamber Music Festival in the United Kingdom and recorded with Puerto Rico Symphony’s principal clarinetist Kathleen Jones in Caribe Clarinete. 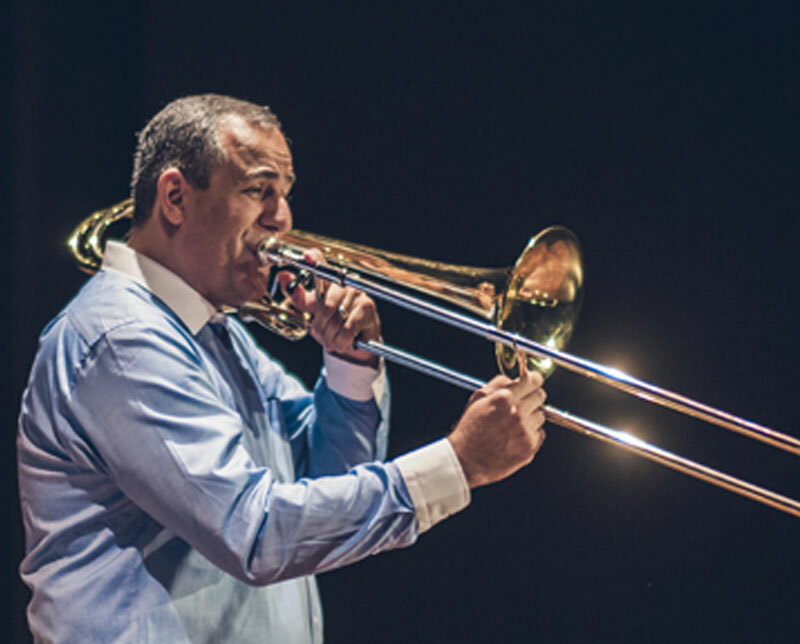 As a soloist, he has performed with ensembles such as the Orquesta Sinfónica Nacional of Colombia, Puerto Rico Symphony, US Army Orchestra (American Trombone Workshop, DC), Banda Sinfónica de Santa Fe (Trombonanza, Argentina), and multiple university ensembles in the United States. He is a sought after as a clinician having done seminars in the United Kingdom, United States, Argentina, Costa Rica, Peru, Venezuela, Dominican Republic and Puerto Rico. He has recorded with the Puerto Rico Symphony on the Grammy nominated production of Rafael Hernandez’s Cofresí. Other recording credits include the Orquesta Sinfónica de Madrid recording of Manuel Penella’s El Gato Montés for the Deutsche Gramophone Label and with the Orquesta Sinfónica de Sevilla Amadeo Vives’ Doña Francisquita, for the Sony Classical label. Dr. Fred holds degrees from Northwestern University, Manhattan School of Music and Indiana University. His former teachers include Michael Mulcahy, Timothy Higgins, Douglas Wright, Randy Hawes, Christopher Davis, Steve Norrell, David Finlayson, Joseph Alessi, Keith Brown, Edwin Anderson and Antonio Salcedo.